We've come a long way from our humble beginning in 1987. Established in 1987, with a concept of a simple name tag. 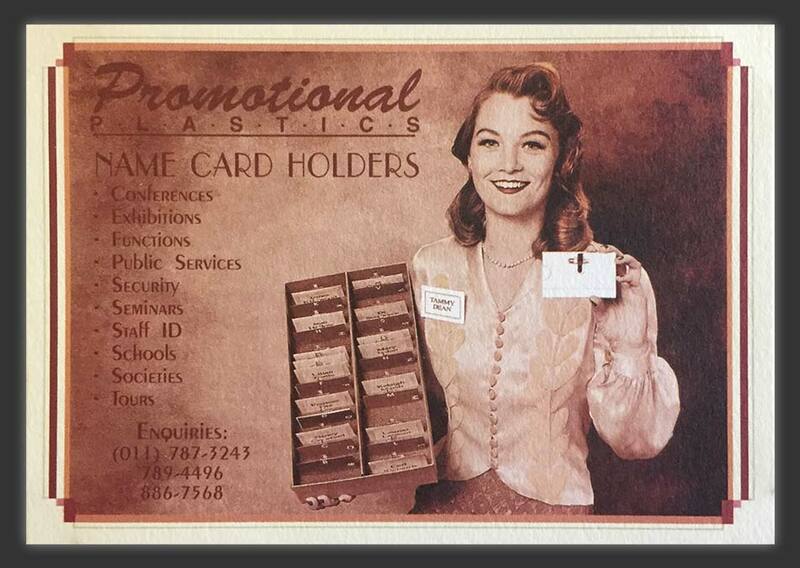 Promotional Plastics cc began when Cheryl Odello, our founder, saw a need within the conference and exhibition industry to allow event organisers to locate delegate name badges easily and efficiently. From the basement of her house, Cheryl crafted the first designs for a quality name tag with a simple clip and pin attachment. A lot of time and effort went into the packaging. The presentation box was well thought and included an alphabetical sorter and A4 sheets of perforated card inserts. It created a simple solution for arranging delegate badges during registration. The high-quality presentation box allowed organisers to re-use the name tags by making it easy to store and transport them between events. 30 years later and today Promotag ® is a leading supplier of Name-tags, ID Card Holders, Lanyards, Wristbands, Promotional Items as well as Security and Travel Accessories to the MICE (Meetings, Incentives, Conference, Events, and Exhibition) and Corporate Industries in Southern Africa and Africa. We’re a proud supporter of the Nelson Mandela Children’s Fund. 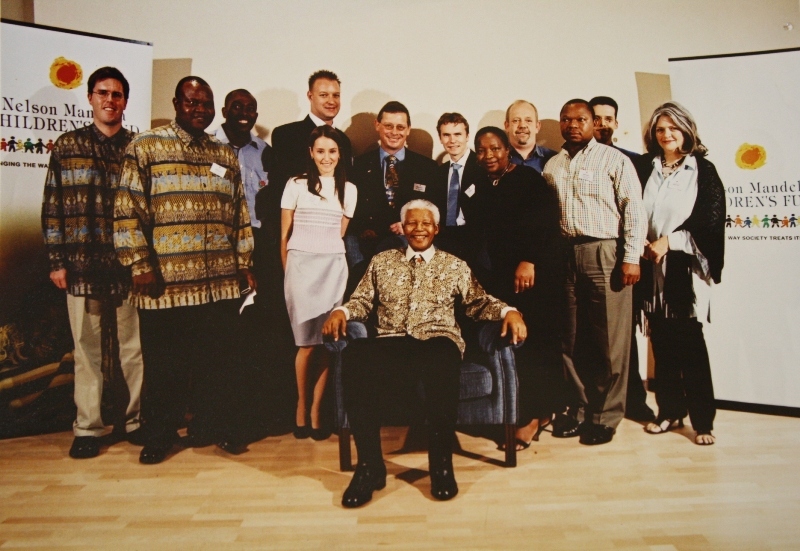 Being recognized for our support and getting the chance to meet President Mandela is to this day, one of our proudest moments. Since spotting a gap for well presented reusable name tags back in 1987, we haven’t stopped innovating. Today we supply a wide range of high quality products and solutions to the promotions and events industry. You need something done? We’ll make it happen. You’ve trusted us for more than 30 years. We pride ourselves on giving you the best service. We’ll deliver constantly time after time. We’re always looking forward. What can we do to better serve the conference, events and promotions industry?